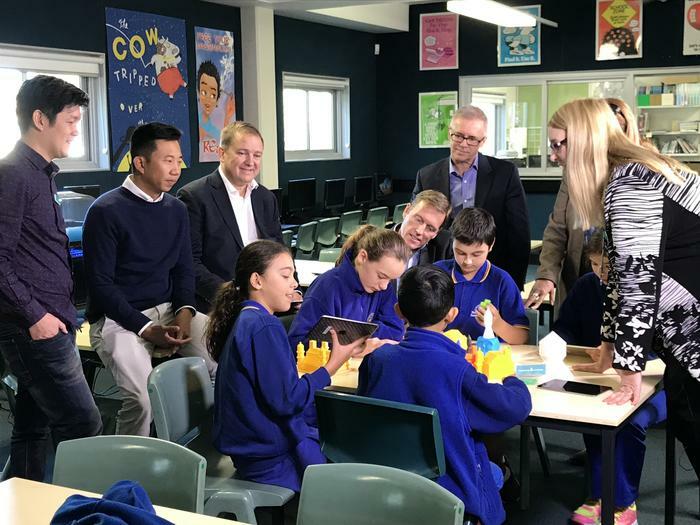 GE is providing 103 Australian primary and secondary schools with polymer 3D printers, software and education materials to give students a “hands-on additive manufacturing experience”. Now in its second year, GE’s Additive Education Program, received applications from more than 3000 schools globally of which 600 were successful. The printers will arrive later this year along with a learning program – created by Adelaide-based startup Makers Empire and STEAMtrax – to help students translate their visions into 3D printed creations. The program is expected to reach around 30,000 students in Australia. “Additive manufacturing will be one of the biggest disruptors in the future of industry, and Australia has a huge opportunity to lead in this globally,” said CEO of GE APAC, Wouter Van Wersch at an event at one of the selected schools, North Sydney Demonstration School, earlier this week. Australia had the second-highest number of schools chosen for the program, after the United States, which shows “we are punching above our weight in this rapidly growing industry,” added the CEO of GE Australia, Max York. GE is investing $10 million over five years into educational programs around 3D printing. Over the past two years, the program has donated more than 1,000 polymer 3D printers to schools in 30 countries, providing access to technology and curriculum to more than 400,000 students. Eight colleges and universities received direct metal laser melting machines last year, among them the University of New South Wales, the only tertiary institution outside the US to be presented with one. The printer – a Concept Laser Mlab cusing metal laser printer – resides in UNSW’s School of Mechanical and Manufacturing Engineering and is being used in research into the development of light-weight and low-cost materials for 3D printing and the improvement of tolerances and surface finishes.